Task searching allows admins to efficiently manage tasks for themselves and their agents. Click [Search] to open the search field. Type in your search operator by task or transaction name and click [Search Tasks]. 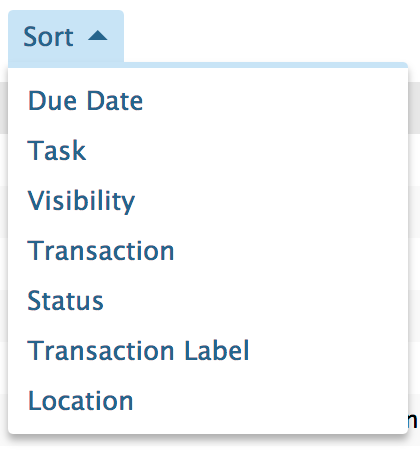 Use the Sort option to order tasks based on due date, location, transaction name or label, and more. Click your option of choice. Pipeline will sort the results for you based on your selection.